MUMBAI: Famous Indian playback singer who is widely known for her devotional songs. Recently she will be seen judging Zee TV’s music reality show Sa Re Ga Ma Pa L’il Champs alongside Shaan and Amaal Mallik. Hosted by popular Indian TV actor Ravi Dubey the show will air on television from 9 February onwards. 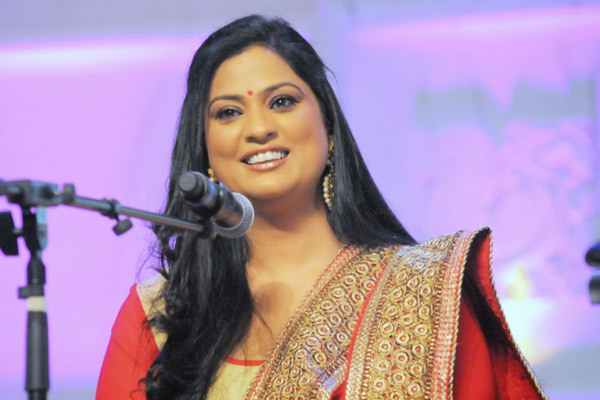 Richa Sharma says, “My experience in Sa Re Ga Ma Pa L’il Champs, music reality show has just doubled. The adult season is over and now these kids are here. Kitne pyaare Hai yeh bachhe aur kitna surila ga rahe hai, muje lagta, yeh toh kudrat ki den hai,” exclaims judge Richa Sharma. MUMBAI: Sa Re Ga Ma Pa Li’l Champs has made quite a buzz for its exceptional contestants, who have grabbed eyeballs with their fantabulous performances. And in the upcoming episode, Sugandha Date will once again stand out for her emotional performance on Luka Chuppi Bahut Hui. MUMBAI: Sa Re Ga Ma Pa Li’l Champs contestant Champ Sugandha Date engraved her name on our hearts with her phenomenal tribute and magical performance to evergreen actress and Bollywood’s most revered personality late Sridevi with her beautiful song Morni Baga Ma. MUMBAI: Madhuri Dixit, who recently graced Sa Re Ga Ma Pa Li’l Champs with the entire team of Total Dhamaal, was blown by one of the contestants, Sungandha Date’s performance.